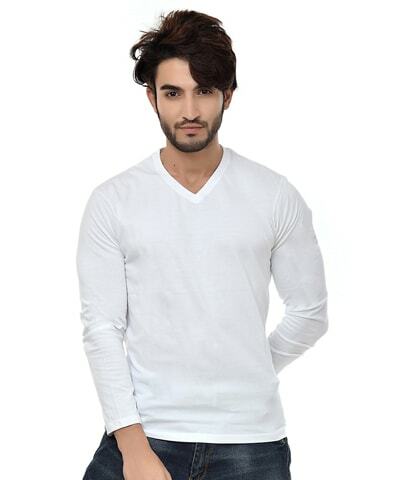 Men's v-neck t-shirt full sleeve, solid navy colour, softest, smoothest, good looking regu..
Men's v-neck t-shirt full sleeve , solid white colour, softest, smoothest, good looking re..
Men's v-neck t-shirt full sleeve, solid chocolate colour, softest, smoothest, good looking regu..
Men's v-neck t-shirt half sleeve , solid black colour, softest, smoothest, good looking regular fit ..
Men's v-neck t-shirt half sleeve , solid white colour, softest, smoothest, good looking regular..
V-neck t-shirt has an amazing collection for men. V-neck also refers to the line between all the layers of the garment. V-neck uncovers chest according to its shape. Whether you are going to attend the college, a casual outing with companions or working & relaxing at your hometown, thus, V-neck t-shirts are comfortable and looking impressive casual wear. Open your wardrobe and choose one makes your personality attractive. Neevov has an amazing allotment & store for men’s V-neck t-shirts in India. All the latest designs are available here at Neevov that will never go out of fashion. Although if you are playing sport on the ground so V-neck t-shirt is your ultimate initiative. V-neck t-shirts include attractive patterns, a range of variety & an exciting colour combination etc. Whether you prefer a clean & super fine look just go to get it immediately at Neevov. You can get solid V-neck t-shirt. V-neck t-shirt from different nice navy V- neck full sleeve t-shirt, black V-neck half sleeve t-shirt you can choose that you like most. V-neck -shirts look semi-formal on each body structure. V-neck t-shirt makes you feel more comfortable & relaxed. V-neck t-shirts imply, come with a fair mode and can be ideal for rainy and winter season. 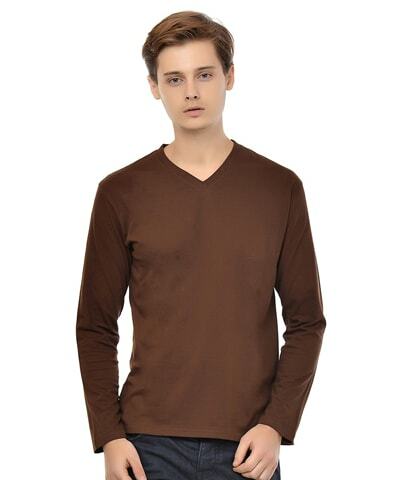 V-neck t-shirt is a perfect collection of your choice that provides warmth & pleasant feeling. 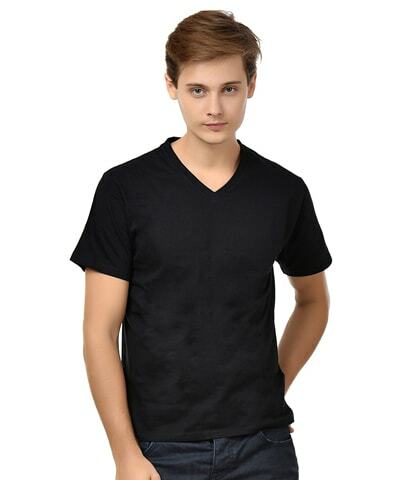 V-neck t-shirts online shopping India can be worn under another v-neck t-shirt, formal or casual shirts. This seems classy look on your body shape. While buying a V - neck t-shirt, you also need to consider the sleeve type while choosing. What seems to your much prettier according to your personality. From 3/4th to full sleeve, half sleeve and short sleeve, you can choose a sleeve type depending on your comfort. Most of the V - neck t-shirts for men are made from cotton which makes you feel comfortable every time & every season. Neevov.com also offers raglan t shirts for men with full sleeve style. 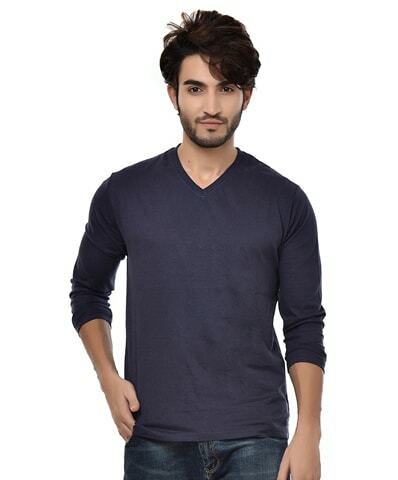 Men's V-neck t-shirt full sleeve, solid navy colour, softest, smoothest, good looking regular fit T-shirt for casual wear. 100% ring-spun combed cotton, Single Jersey, Fabric weight 180-200gsm, Pre-Shrunk & Bio-Washed Fabric, Regular & Comfort Fit, Side Stitched For Perfect Fitting, Durable rib neckband, Neck cover-stitched, Shoulder to shoulder tape, Double needle hemming on bottom & sleeve.